Whatever you are looking for in your next community, chances are you will find it in New Richmond, Wisconsin. A thriving downtown? Check. Great schools? Check. The peace of a rural countryside? Check. Convenience to the Minneapolis-St.Paul metro area? Check. If you are looking for what houses for sale New Richmond WI has to offer, let us help you find that dream home! A house isn’t necessarily a home, until you make it yours. The market for houses in New Richmond has been very strong, so you will want to be on top of what is available. We keep our listings up to date, so check back often. And don’t forget to talk to our New Richmond WI real estate agent for help finding the ideal property for your family. Leasing a house is often a great decision. 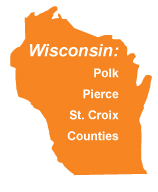 If you are looking for your best option, talk to your New Richmond WI real estate agent. Check our listings often to find the most ideal houses for lease New Richmond WI has to offer. Owning a rental property in New Richmond can be a great investment. However, many people do not want to take on the responsibilities of being a property manager. Clearing snow, landscaping, and HVAC systems are just of few of the issues you may have on your plate when owning a rental home. Our property management team takes these stressful tasks off your hands, freeing you up to enjoy your time and collect the rent. About 9,000 people make up the community of New Richmond, Wisconsin. The community is viewed as friendly and active, with plenty of activities available to both adults and youth. 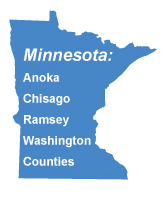 Ask a New Richmond WI real estate agent from our team to offer you some insights about the area. What would you like to know? If you have any other questions that we haven’t been able to answer about the area and community, we encourage you to contact the Chamber of Commerce. New Richmond is understandably proud of its public school system. They have three different elementary schools that all combine to make one middle school and a high school. Each classroom at all grade levels have goals to inspire every child to meet their potential by providing the skills and tools to achieve the best. The city of New Richmond is made up of six aldermen and a mayor. The mayor is elected to serve for two years. Elections are held every even-numbered year. Third-party haulers provide services for trash and recycling. Residents choose their provider from a list of hauling companies The city has a list of approved hauling companies that residents choose from. If you’re a lover of the outdoors and being able to enjoy nature on your lunch-break, this is the area for you. Trails that stretch fourteen miles in every direction and over 217 acres of public places to explore, the Parks Department have plenty to choose from. Youth sports and festivals. Adult basketball and softball leagues. An off-leash dog park where your furry pal can run too. Interested in leasing or buying any houses for sale New Richmond WI has to offer? Contact an Applegate real estate agent today.